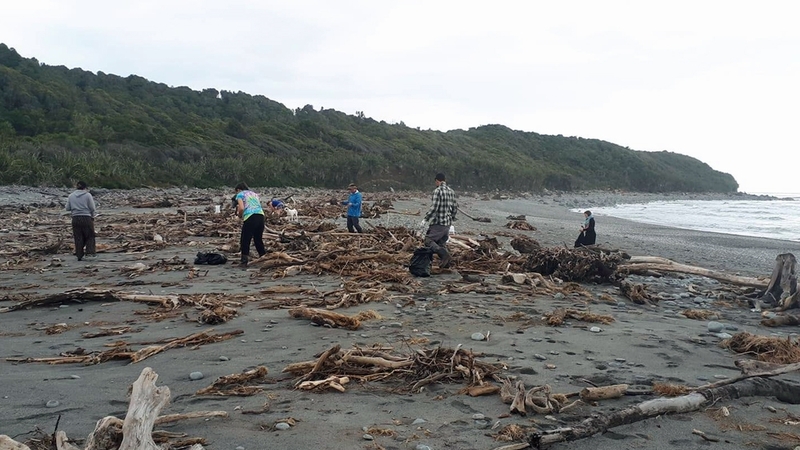 The warning comes after heavy flooding on the West Coast of New Zealand's South Island washed part of a disused landfill into the ocean on March 26, scattering thousands of tonnes of plastic along 50km of normally pristine coastline. The once in a hundred years flood - which saw 1,000mm of rain fall in less than 48 hours - is believed to have swept thousands more tonnes of trash out to sea, depositing some of it into a 4km-deep underwater canyon off the coast. "We know rubbish has ended up along a wide stretch of the coastline," Joshu Mountjoy, a marine geoscientist at New Zealand's National Institute of Water and Atmospheric Research, told Al Jazeera. "It is likely that a component of the Fox River landfill waste will end up out of sight in the deep ocean by the same processes." "Submarine canyons are exceptional environments for focusing marine life and can be badly impacted," said Mountjoy. "Fish can absorb toxic substances in waste [and] store it in their bodies," Jeff Seadon, a Built Environment engineer at Auckland University of Technology, told Al Jazeera. "These substances proceed up the food chain till humans eat the fish and we can absorb those chemicals, which can affect our health." "This is also applicable to many of the 11,000 other inhabited islands around the world and many mainland dumpsites," said Seadon. "Given the opportunity, waste - including hazardous waste - that can poison marine life and affect humans, will wash into the sea," he said. "Although they are often disposed of in small quantities, they can spread through landfills and contaminate large quantities of other waste," said Seadon. "They often have no way of keeping toxic leachate confined to the landfills. As a result, this can seep into surrounding soils, streams, lakes, underground aquifers and into the marine environment," said Seadon. "This seepage can affect soil productivity, make the water unusable for humans, or kill marine life." Many deep ocean canyons around the globe are believed to be affected, including some of the planet's deepest. "It shows what a huge problem erosion of municipal waste in big flood events can be," said Mountjoy. "If anyone had any doubt that the rubbish we discard can end up way down in the deep ocean here is the proof," he added. "The long-term fate of sediment entering large submarine canyons is the deep ocean floor hundreds of kilometres offshore and several kilometres deep," said Mountjoy. "The endgame for all plastic pollution in the world's oceans is sedimentation, either on a coastline or in the deep sea," Marcus Eriksen, director of research for the 5 Gyres Institute, told Al Jazeera. "There will forever be a geological layer filled with microplastic that represents this time in human civilisation, circa 1950 to 2050," he said. 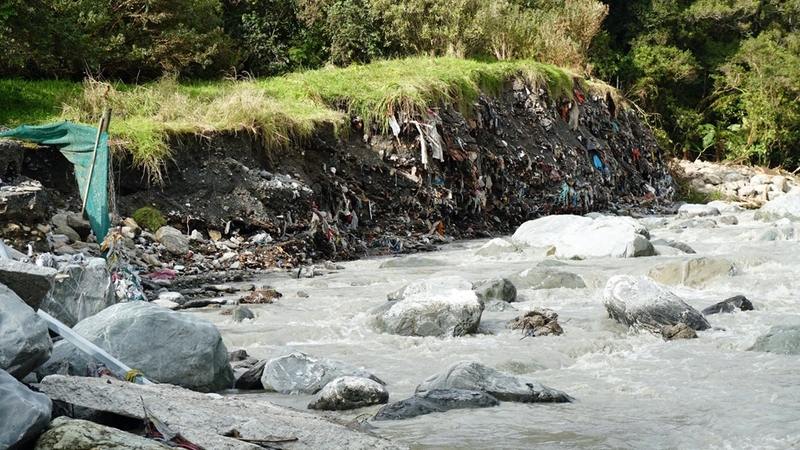 While New Zealand's government is looking at what can be done to secure around 100 other old landfills it has identified as vulnerable, Mountjoy says "more needs to be done to understand how rubbish moves through the natural environment and where it is concentrated so we can gauge the impact it is having on marine life." "If we do not make waste in the first place, then we do not need to deal with the consequences," said Seadon. "Whether they are modern or not, [landfills] cannot absorb the volumes of trash expected to be created in the decades ahead. There is simply no place to put all that trash," said Eriksen.